This item has been kindly donated to raise funds for St Helena. Item Condition: Mint in cellophane. British Council 1934 - 1984 #156 25.9.84. Item Condition: All mint in cellophane. Orchids #236 16.3.93. British Motor cars #139 13.10.82. Date: 16 February 1972 - edge of cardboard a bit discoloured. Date: 27 February 1974. Date: 23 April 1975. Date: 27 November 1974. The first featuring Hogwarts and the four houses. the second featuring the 7 book covers. Item Condition: All mint in cellophane. 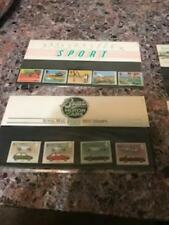 1 loose stamp London Economic Summit 1984 Lancaster House 31p. Sport #189 22.3.88. THIS IS THE LAST ONE OF THESE THAT I HAVE AT PRESENT. British Theatre #134 28.4.1982. The Queen's Awards for Export & Technology #207 10.04.90. Item Condition: All mint in cellophane. Famous Trains #159 22.1.85. 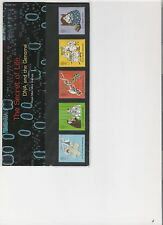 New listingFOUR UK Presentation Packs Of Stamps Insects Folklore Sport Butterflies BARGAIN! 6-25th anniversary of the coronation. The Royal Wedding #174 22.7.86. Art in the 20th Century #237 11.5.93. Item Condition: All mint in cellophane. The Green Issue #230 15.9.92. 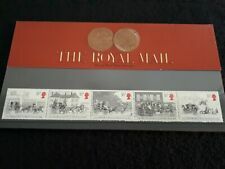 Royal Mail Mint Stamps - Complete Millennium Presentation Boxed Collection. 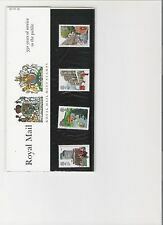 As pictures Dispatched with Royal Mail 1st Class. 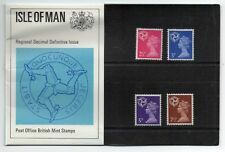 3:- 1970 - Philympia 1970, London International Stamp Exhibition 18-26 September. Year; 1960's & 1970's. 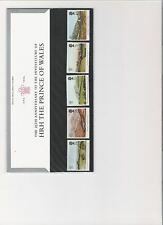 New listingTHREE UK Presentation Packs Of Stamps ARMADA BRITISH ARMY URBAN RENEW BARGAIN! Royal Wedding #127a. Royal Wedding #174 22.7.86. Item Condition: All mint in cellophane. Autumn #240 14.9.93. Transport & Communications #190 10.5.88. A similar collection from a stamp dealer would cost around £725. Safety At Sea #162 18.6.85. The Channel Tunnel #247 3.5.94. The Linnean Society #187 19.01.88. Item Condition: All mint in cellophane. PROTECTIVE CELLOPHANE COVER . ~With a range of knowledge and expertise like no other, gathered over half a century, we are, TheStampPeople. where your hobby, is our passion!”. ~Model Railway. ~Coins & Accessories. GB Stamps - Presentation Packs - Celebrating N. Ireland No 419 As Photo Ref A32. Dispatched with Royal Mail 2nd Class Letter. 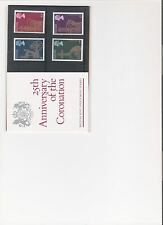 GB QEII: 6 PRESENTATION PACKS 2005 "DEFINITIVE STAMPS COLLECTION"